This is a mouse,” Our team member was greeted with rolls of laughter as soon as he said this. “Does it run as well? Does it eat rice? Do cats chase it around?” He had to deal with millions of such questions. We are, however, more than happy to entertain plethora of queries, as we are paving the way to realise the vision of a digitised rural India, one village at a time.The village folks brimming with energy constitute 68% of the total Indian population. The little hands which hold a pen are holding a sickle in a village whereas in urban areas, the use of technology permeates almost every aspect of our lives. Isn't it necessary for them too to be able to hold a pen, google their questions and connect with us? India dreams of complete digitization and development of rural areas, and we seek to fulfill that dream in our endeavor. Connecting Dreams Foundation is a youth led initiative which seeks to empower youth and women in rural India through connectivity and entrepreneurship. 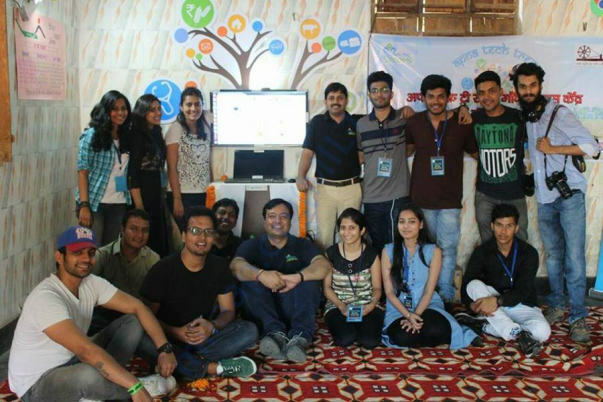 CDF - HINDU, a subsidiary of CDF INDIA is being run by the young social entrepreneurs of Hindu College. The mandate of CDF is to architect social transformational interventions and campaigns using technology that create positive impact across the globe. 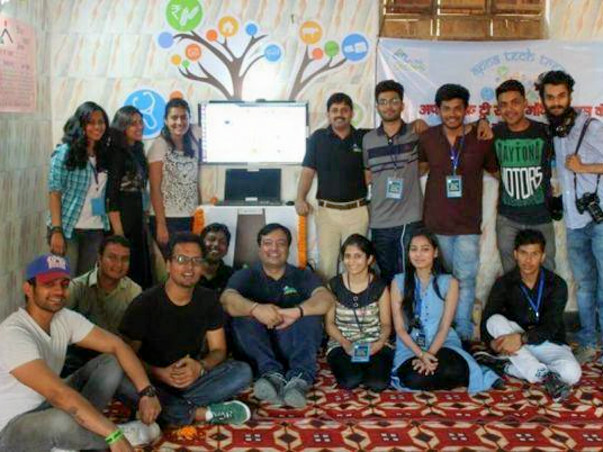 'Apna Tech Tree' is an internet powered technology model for sustainable development and empowerment in rural India. The Connecting Dreams team has successfully brought in the ATT model across seven villages of Uttar Pradesh, Uttarakhand and Jharkhand. 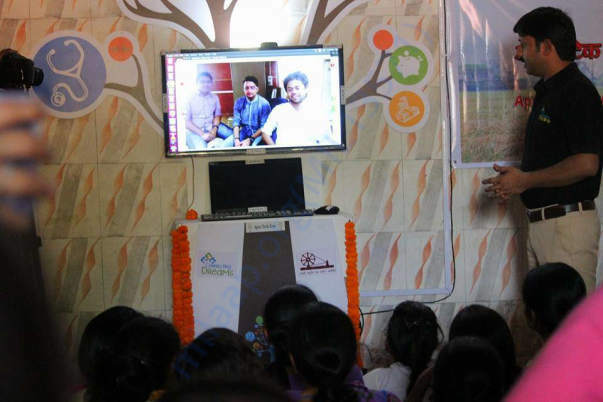 This village enterprise is run by local women groups in partnership with local NGO, enabling community and people centric learning using video conferencing and voice over internet to communicate, share best practices with people of neighbouring villages and connect with experts in cities. CDF Hindu College is successfully working on its ATT project in Lahchauda village in Baghpat, Uttar Pradesh after showcasing significant ground impact in all the earlier villages with CDF India. It is in partnership with Gandhi Samriti Darshan Samiti, Indian Agricultural Research Institute and Lakshmi Jan Kalyan Sewa Sansthan. We seek to connect the village with other villages and with the cities by providing an appropriate technology. Solid steps, if not giant strides, have been taken towards achieving a rural India that uses digital tools to become self-reliant. Problems of migration, lack of connectivity and unavailability of resources can be tackled head-on by employing adequate resources to equip villages with the infrastructure needed for rapid digitisation. As wide-eyed village children ogle at the plethora of information opening up in front of them,the seeds of a Digital India dream can be seen germinating. Rural areas are still plagued in vicious circles which are hard to escape. We seek to bridge the rising gap between villages and cities. It takes an idea, a dream to change the world. We, the CDF Hindu team dare to dream, we dare to change the world. Working without a break is what we believe, Smart Village Lahchauda is what we will achieve! •Successful installation of Apna Tech Tree and establishment of a Smart Room in the village. •Demonstration of Video Conferencing sessions through live Video Conferencing with experts. •Digital Literacy Workshop conducted focusing primarily on girl child education along with various activities such as drawing and sketching their perception of digital India. These seminars will help in introducing the villagers to different novel concepts which they are unaware of and help them in gaining a better understanding of the practical aspect of various techniques and technologies. Apart from these seminars, women of the village will be trained on using computers and the internet. Keep sharing the campaign with your friends and family.